I made it to the sporting goods store over the weekend as planned. And the trip was successful — I’m now the proud owner of a new pair of sneakers. After trying on several different New Balance models and several sizes of each — sometimes a wide width works better; sometimes a half size bigger does the trick — nothing felt quite right. So I turned to a few Saucony options. 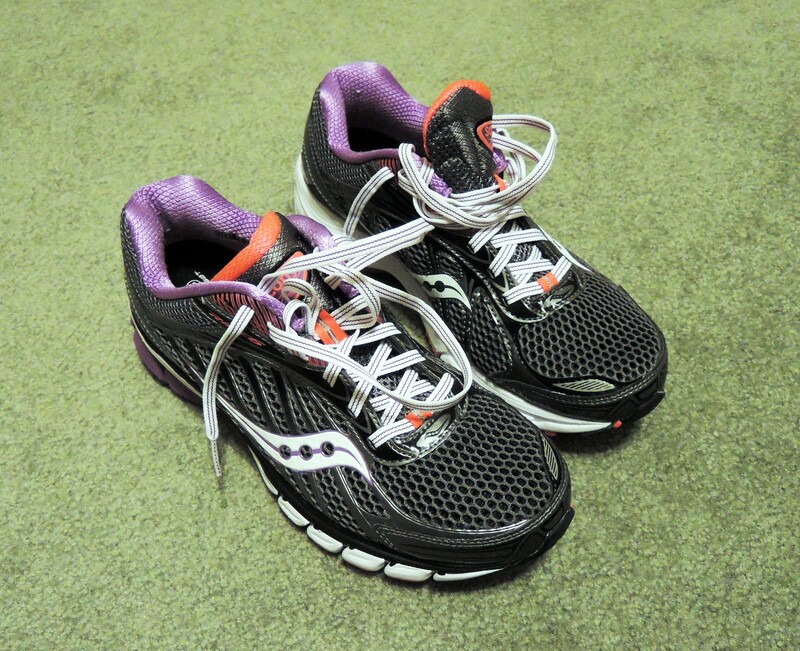 I was hesitant because I’d previously had a pair of Saucony and they ultimately felt a bit too narrow. But as I said in my last post, it’s wise to be open to more than your usual preferences. Voila, a pair of the Saucony fit the bill. And what I also realized as I paced around the sporting goods store in various pairs of sneakers: My old ones were more worn out than I even knew. Shoes break down slowly, and if you’re wearing them nearly every day, it’s not too noticeable. It’s kind of like when someone is losing weight. If you see him or her every day, you don’t really see it. But if you haven’t seen the person in a while, when you do see him or her, it’s immediately apparent. I’ve already put a few miles on the new pair, and I’ve made a note in my calendar for a few months out to estimate the mileage on them at that point so I replace them in a more timely manner. Oh, and the best part? My new sneakers were on sale, more than 50 percent off! This entry was posted in Uncategorized and tagged replacing sneakers, sneaker shopping, sneakers by Walk With Joelle. Bookmark the permalink. Nothing like the feel of some fresh kicks. Congrats!